Muggles Welcome! 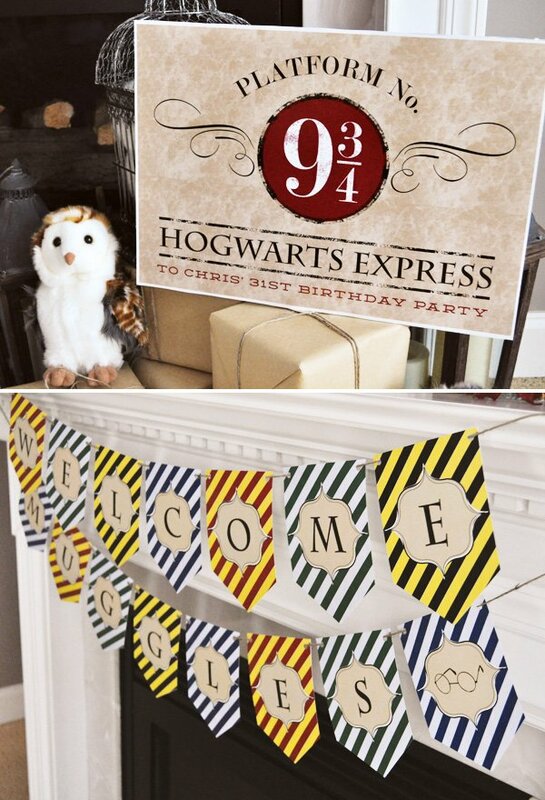 Charynn of Two Sugar Babies threw a SURPRISE Harry Potter Birthday Party for her husband’s 31st Birthday! 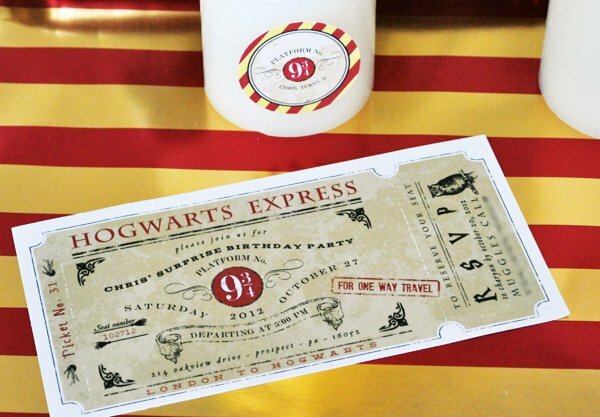 All aboard the Hogwarts Express for a brilliant party with printables from Anders Ruff , A Honeydukes inspired candy bar and tons of magic! 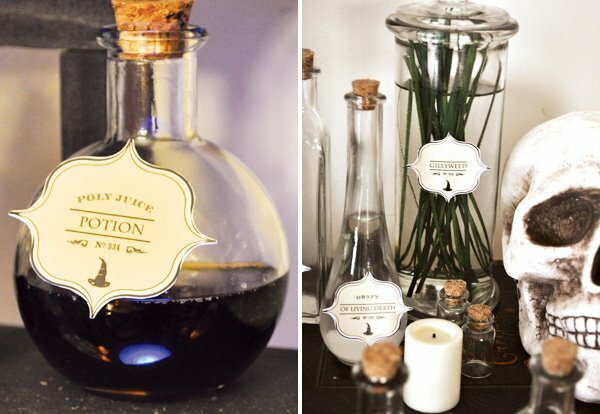 Poly Juice Potion, Gillyweed, Floo Powder & more! This Wizard (“Harry Potter”) Party was a surprise 31st Birthday Party for my husband (we were moving over his 30th). He loves the books and movies, and is known to dress as a “Weasley” (when he has, little kids will line up for photos and autographs), so the theme choice was easy. Maureen from Anders Ruff Custom Designs created the most awesome printable package to pull the event together. 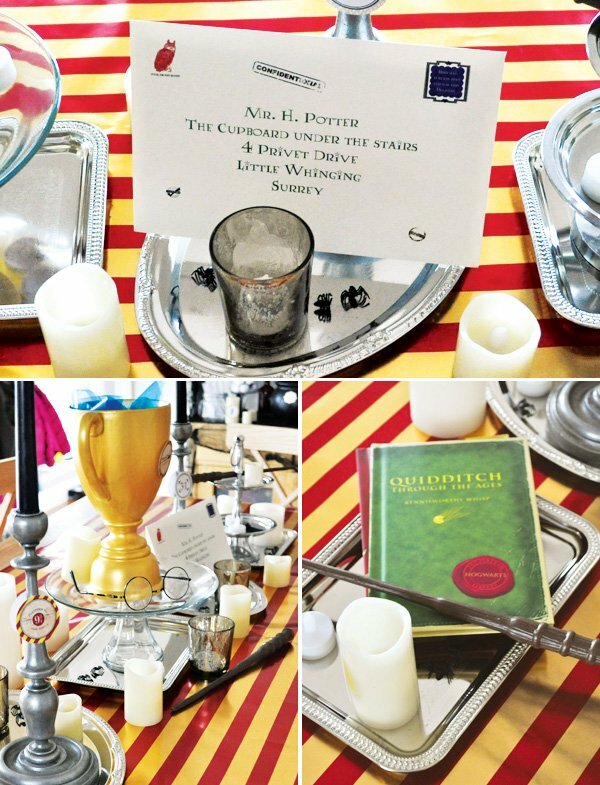 The party included a few different displays/food tables to correlate with some of our favorite parts of the Harry Potter world. 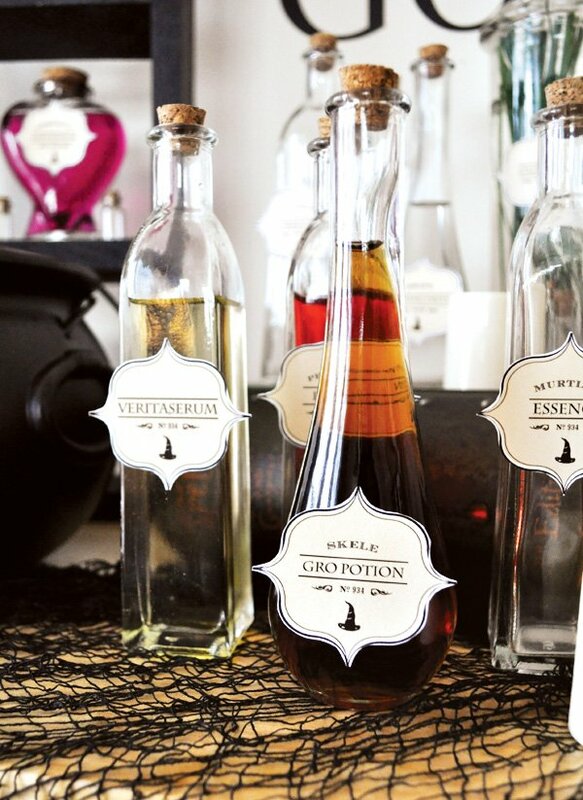 My favorite display to create was the potions display complete with a bubbling cauldron, potions, spell book, slimy creatures, spiders, and a skull. I purchased a bunch of small, different shaped bottles and filled each with different colored liquids or items that matched the descriptions in the book. Maureen made small tags that I cut and displayed on each bottle. 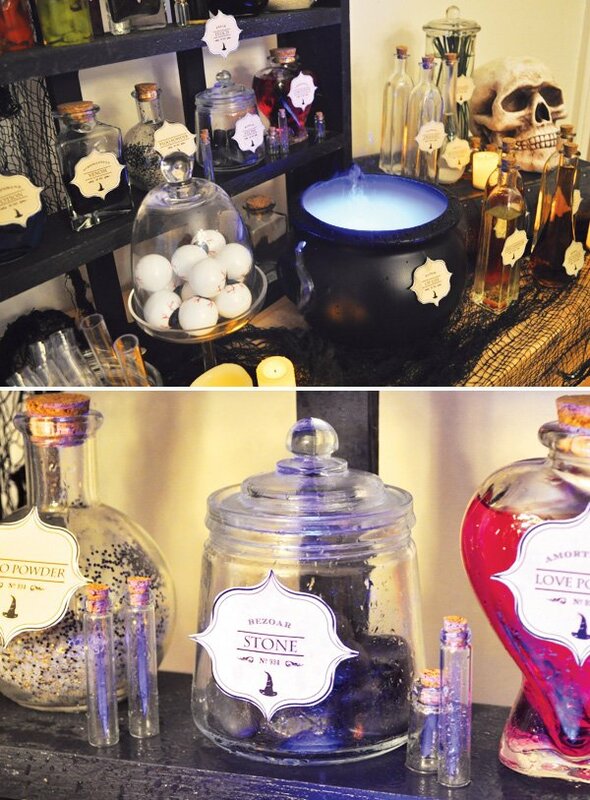 Guests had a great time finding their favorite potions from the books. I found a vinyl wall piece on Etsy and bought an inexpensive pack of spiders at Party City to use as the backdrop. 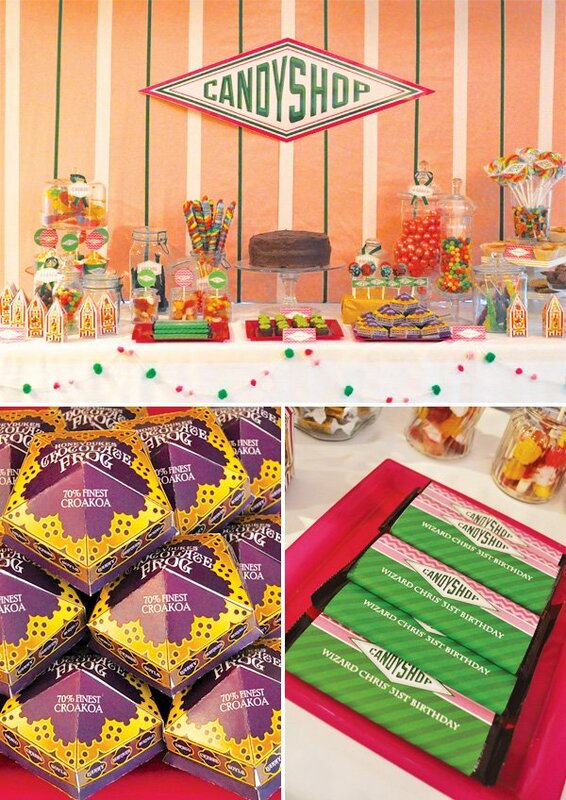 The dessert and candy table was modeled to be reminiscent of a display in “Honeydukes,” a candy shop that the Hogwarts students love to visit. 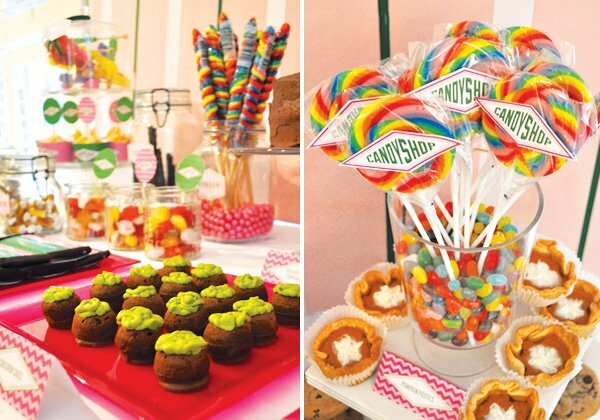 The backdrop was made with plain pink fabric embellished with ribbon, and the centerpiece was a “Candy Shop” sign designed by Maureen. I made some of the most popular treats from the books, including “Cauldron” Cakes, Pumpkin Pasties, “Rock” Cakes (chocolate chip cookies), “Acid” Pops, “Exploding” Bon Bons, “Golden Snitch” cake pops, Chocolate Frogs, a Chocolate cake from Hagrid, and also drink-inspired Butterbeer Cupcakes. I found licensed “Bertie Botts Every Flavor Beans” and placed them in movie-inspired boxes from Etsy and then purchased easily found candies that I labeled with Wizard-like names from the series, along with Crystal Ball lollipops from Vintage Confections. Each guest was given a chocolate frog as a party favor in a replica box, complete with wizard cards that I also found on Etsy. 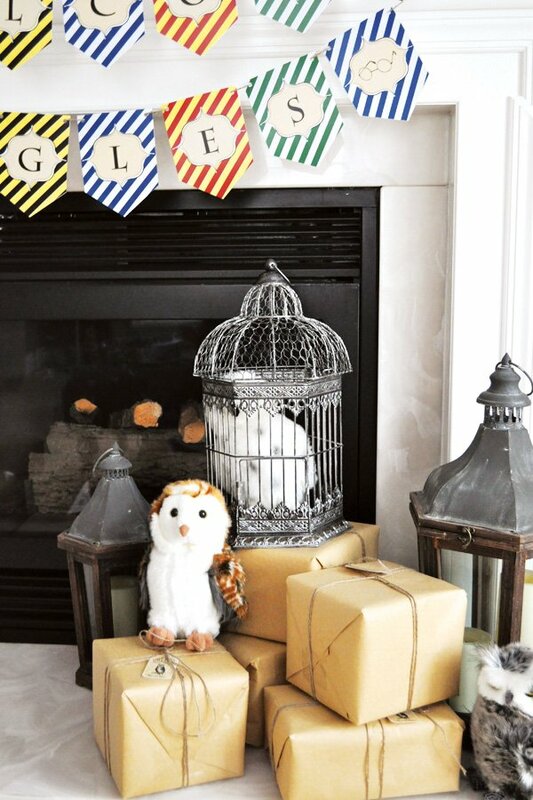 My husband (and kids) adore the owls from the series, so I found stuffed owls on Amazon, moved some lanterns inside, and wrapped boxes in kraft paper and twine to simulate an “Owl Post” for an easy and inexpensive fireplace display. It unfortunately was raining the weekend of the party, so we also added the “Welcome Muggles” banner and party Welcome sign designed by Maureen to the display as well. We had a long table set for seating, so I decided to set up a long centerpiece display with lots of candles (that were all lit after dark), vintage silver trays and movie props including Hogwarts Books, Harry Potter glasses, wands, and a replica Hogwarts Acceptance Letter and Class Supply List. I also found a plain white trophy that I painted gold and put in blue cellophane and a light to represent the “Goblet of Fire.” I embellished the decor with party tags from the printable collection and used maroon and gold wrapping paper as a table runner. For food and drinks, I tried to find as many Harry Potter themed recipes as possible to recreate. There’s a cookbook on Amazon that I used as a reference to make Guinness Stew, British Hand Pies, and other book and movie inspired foods. I ordered licensed Pumpkin Juice from Universal Studios and then supplemented it with a punch bowl filled with homemade pumpkin juice, and then at the end of the party we made a fresh batch of “Butterbeer” for dessert. Tons of recipes for both can be found on Google and Pinterest. Wow! No detail was left unattended here! This is truly a magical party!! Great job Charynn and Maureen!!! I love this! I am glad to see this is an adult party! 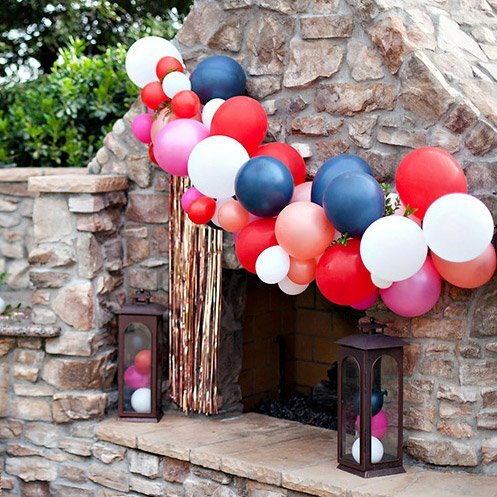 I would love this for my next birthday!!!! 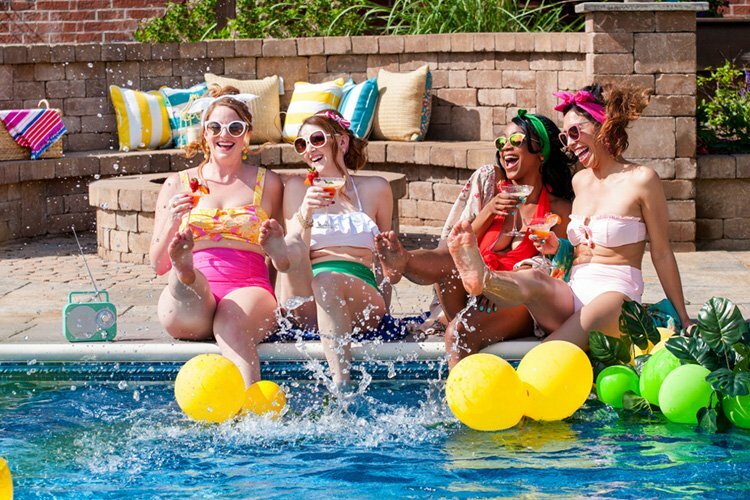 thanks so much for featuring the party, jenn! 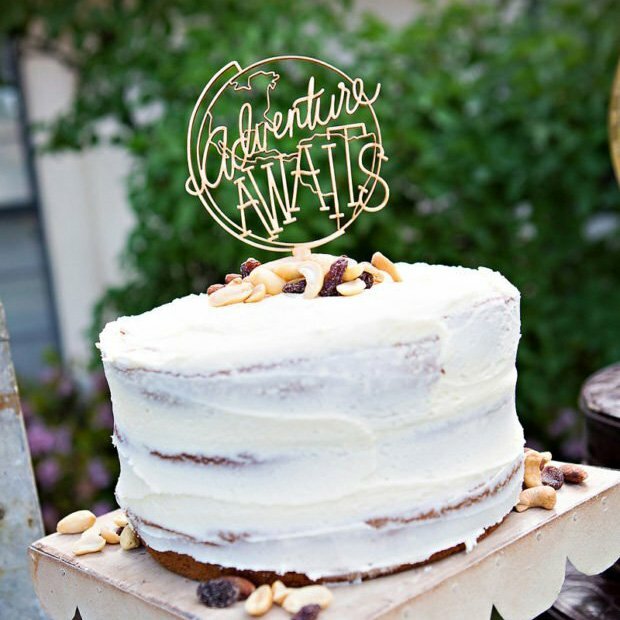 maureen is absolutely awesome, and her party package really made the party! For the acid pops, did you use pop rocks? 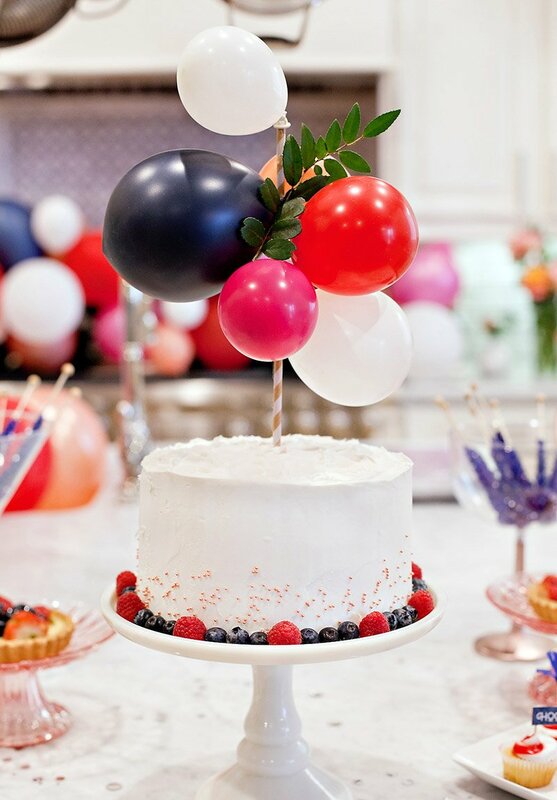 How did you make them look bubbly? 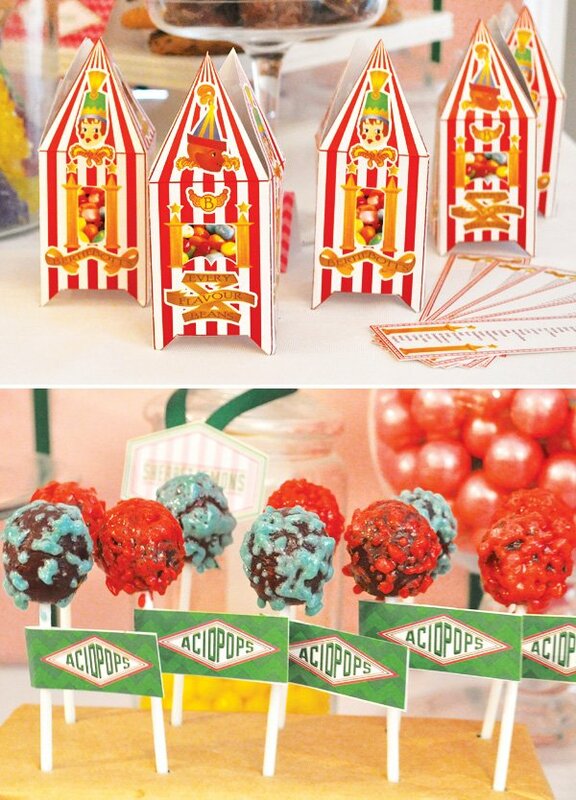 Are they cake pops under the pop rocks? love it! Oh my what a great idea!!! It just amazes me what you were able to do to make the world of Harry Potter come to life. 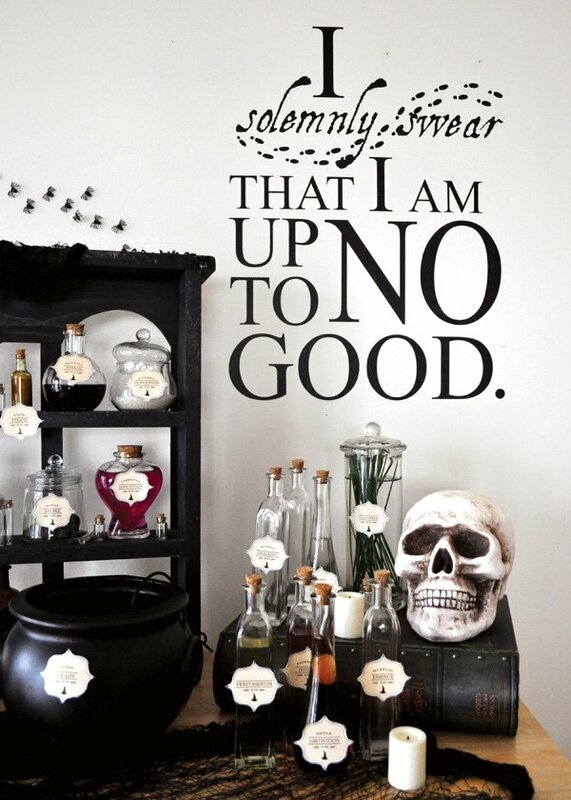 You found some amazing Harry Potter themed decorations and favors. I love the creative ways you displayed Honeydukes and the potions station. 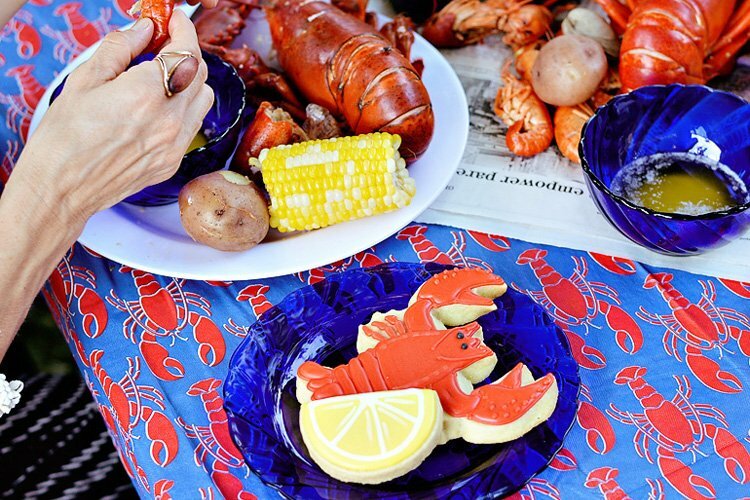 My family clearly doesn’t love me enough, because no one’s ever thrown me a party this awesome. (kidding, about the family loving me part). This is SO COOL!! 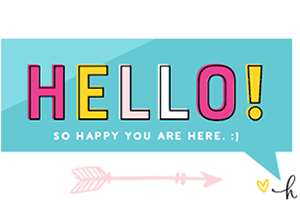 I’m glad to read this blog so amazing for the adult birthday..